Faculty of Computer Studies at the University is committed to excel in research, teaching and consultancy. The research activities at Faculty of Computer Studies are strongly focused in the areas of enterprise computing and IT applications. The programmes under the Faculty of Computer Studies are teaching the fundamental principles and practical skills in IT, and establishing the foundation for an entire career of the student. 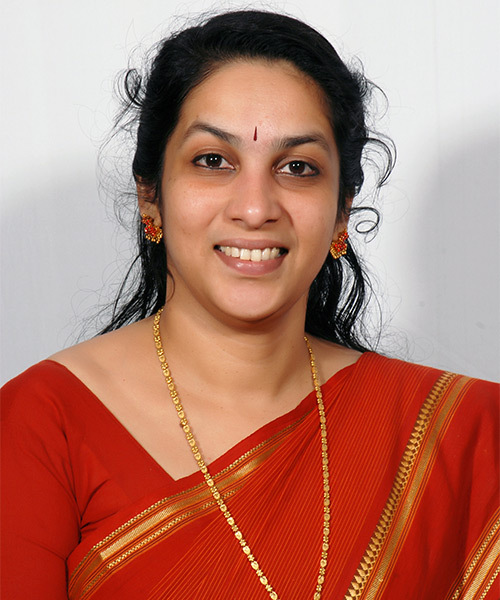 Dr. Dhanya Pramod is a post graduate in computer science from Pondicherry central university and completed her doctoral degree from Symbiosis International (Deemed University). She has a strong academic foundation and was the First Rank holder of University at undergraduate level and Gold medalist at post graduate level. Dr. Dhanya also holds Post Graduate Diploma in Management. She has over 14 years of experience including industry, research, academics and administration. Prof Harshad Gune is a Technology professional with over 25 years of experience in software development and education in various fields of Information Technology. Prof. Harshad Gune is one of the pioneering members of Open Source movement in India and actively worked towards promotion of open source in the field of education. He has been a member of Board of Directors, Open Source Initiatives, USA (opensource.org) from 2008 to 2014 and now an emeritus member of the board. Prof Harshad Gune is a Technology professional with over 25 years of experience in software development and education in various fields of Information Technology. Prof. Harshad Gune is one of the pioneering members of Open Source movement in India and actively worked towards promotion of open source in the field of education. He has been a member of Board of Directors, Open Source Initiatives, USA (opensource.org) from 2008 to 2014 and now an emeritus member of the board. Presently, he is a member of the working committee of Technology Development for Indian Languages (TDIL), Department of Electronics & Information Technology (DeitY), under the Ministry of Communications and Information Technology, Government of India. 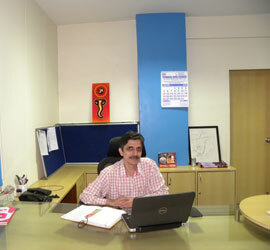 Under his dynamic leadership, SICSR team is approaching the next level in educational technology. SICSR has been a pioneer in the implementation of Educational Technologies which cover an LMS-Learning Management System, MOODLE (Modular Object-Oriented Development Learning Environment), Desktop Virtualization, Cloud Technologies, Video Conferencing. All this has made SICSR a leader in technology-assisted learning. He has done his Masters in Computer Management and has done his Bachelor’s in Electronics Engineering from Pune University. Prof. Harshad Gune is pursuing PhD from SIU under the Faculty of Computer Studies. Symbiosis Centre for Information Technology, a constituent of Symbiosis International (Deemed University) has been a pioneer and a leader in imparting education in the niche area of Information Technology Business Management in India for more than a decade. SCIT nurture genuine IT talent to become future leaders in Information Technology arena. SCIT welcomes those, who are willing to take on challenges and transform themselves into proactive professionals. The institute supports their transformation with innovative teaching-learning methodology, state-of-the-art computer labs, platform for peer learning and opportunities to learn management in real time. The success of our alumni is a proof to claim that - SCIT ensures overall professional development of students, who are transformed into industry-ready IT professionals. SICSR, celebrating its 25th year was one of the first Institutes in Maharashtra to offer high quality computer education. SICSR is located in the heart of Pune City. Our location, our broad portfolio of academic IT programmes, our talented and diverse student body, and our dedicated faculty members work together to create an educational experience that is relevant, enriching, and uniquely Symbiosis. If you are considering IT education, we invite you to explore Symbiosis Institute of Computer Studies and Research (SICSR). SICSR has outstanding IT infrastructure available to support the programmes besides its excellent book collection and reference library. Website last updated on : November 26 2018 08:46:44.